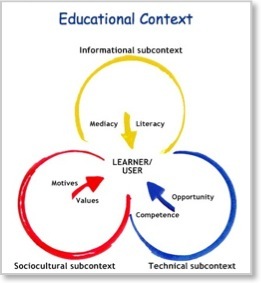 While going through the SITE model, I contemplated about the needs of my learners, and how I was approaching them. I think the SITE model breaks it down nicely into organized sections. It is easier to think about what technological needs my students have as opposed to all of their needs combined. It is easy as teachers to focus on the educational needs of students, without thinking about the extra knowledge or motivation to put into it. It is important to include socioeconomic factors such as culture, or poverty level, or values to interest and motivate students. We also can use technology as a bridge for students to access and get engaged with difficult texts or concepts. Yet, with these, we have to keep in mind the informational aspect for each subcontext. We need to be pushing to access prior knowledge, skills, making sure instructions and conventions are clear and understood so that students can achieve their goals. 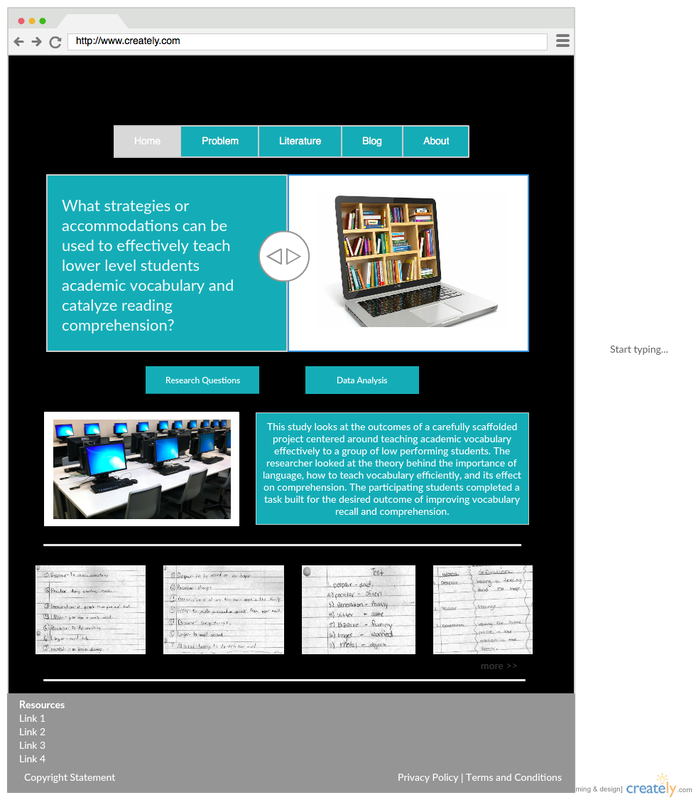 Before having access to edit the Innovative Learning Website, we made prototypes of what we wanted our Website to look like, focusing on the organization and home page. I didn't want too much information overloading on the home page, so I included my driving question, and a short introduction on my research. I included links to important parts of my research like the literature I used, research questions I worked towards answering, and an analysis of data. I also put some examples of my students work. I originally liked the idea of books being inside of a computer, as seen in my prototype website, but I felt as if that was too much geared towards E-Readers instead of using technology to learn vocabulary. 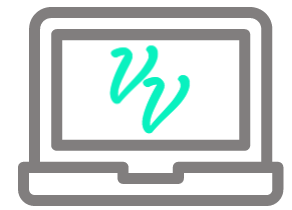 So I switched it to just the alliterative letters I have for Virtual Vocabulary, and placed the "VV" inside of the computer screen.